Before 1886 there was no official championship. 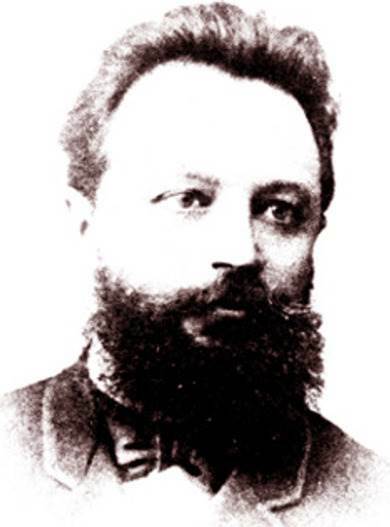 Steinitz (world champion 1886 - 1894) was the first official world champion, because he won a match against Zukertort that was declared as a world chess championship. You can replay the most important chess games from this match. These games are commented by Jan van Reek. 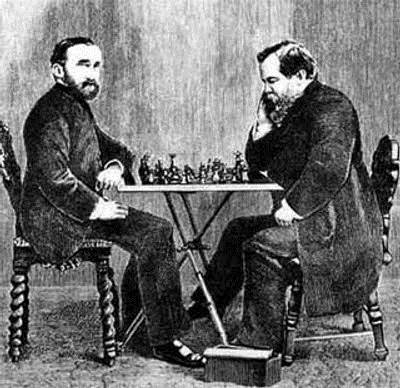 Wilhelm Steinitz (USA) successfully defended his world title versus Mikhail Chigorin (Russian Empire) 1889 in Havana, reaching first 10½. 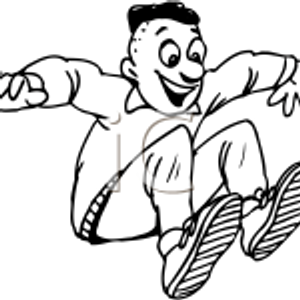 He won the match 10½-6½. Replay the games below. Some of the games are commented by Jan van Reek. 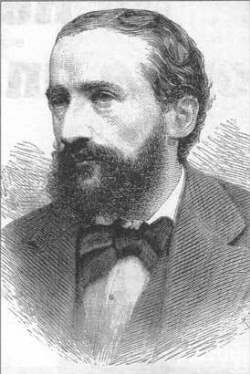 The chess professional Gunsberg (Austria-Ungary) who was one of the best players worldwide in the late 1880s challenged Steinitz for the world title. 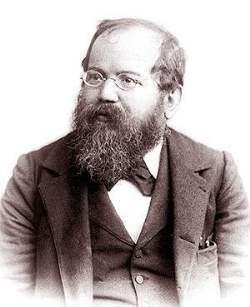 Steinitz won the match with six wins, four losses, and nine draws. Replay games below. Some are commented by Jan van Reek. You can replay the games below. Commented by Jan van Reek.